then developed a nasty flu -- and now recovering from all that. Because of all this I've been very slow on e-mail as well, but as the week goes on I'll be replying at least to the urgent stuff. On coding front I'd like to fix just a little more and then release 3.50 stable while the winter still continues - cause now I've got probably the greatest skis I've ever owned. 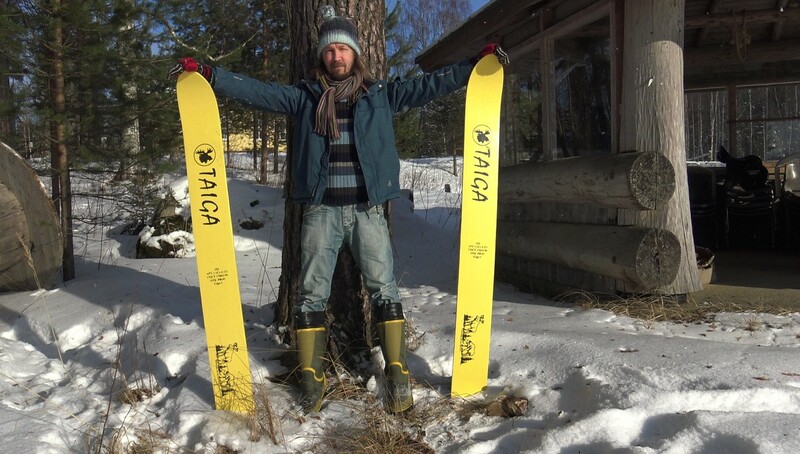 These are Taiga cross-country/hunting skis of russian origin. The proportions comes close to the great ancestral skis of ancient Finns - and many other ugric / north eurasian peoples. They are naturally all wooden, and after this picture was taken a decent layer of pine tar has been put on the underside, and ties attached. I will show myself out. Hey man, good to see you back. Your new skis look awesome. Have fun with them and get well soon ! it would be cool it was possible to plant trees. What do You think about this in next update? Thanks for the compilemt, masif. I don't feel tree planting really suiting the nature of the game, it feels something more modern in the world where trees are scarce. Also, a planted tree would practically never grow big enough to be used for example as a good construction log during a lifetime of a character. Hmm, and what do You think to add possibility storage the wather when its raining and boiling the snow? Hi there, this is my annual visit. I'd like to request an update to 2017's development history before you forget any details, because this diary is really entertaining. Also I hope you record more videos about bows, they are quite comfy. And that is a fair reminder as well. I always have to read late release news and ponder for days to come up with those annual summaries, so not to worry about forgetting things. Update to the diary has been on my mind as well. Now I'm not sure if this references to archery stuff on Enormous Elk YouTube channel?